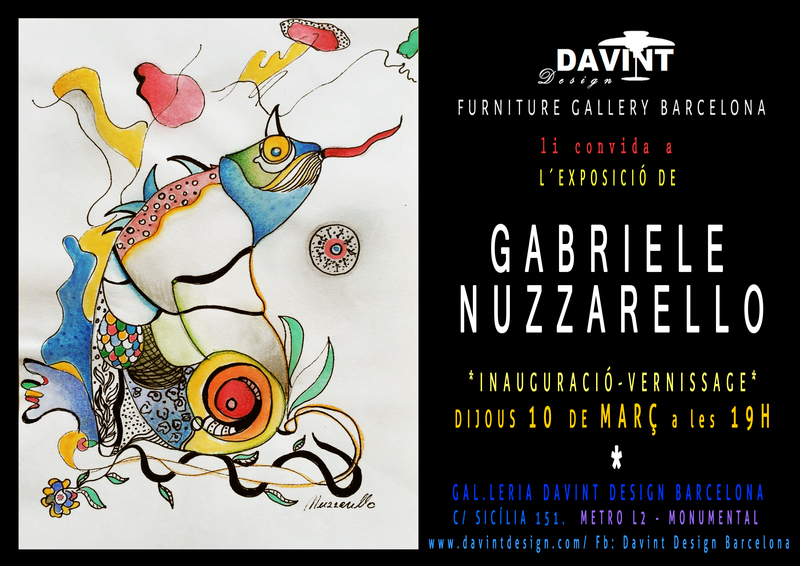 10.03.2016 at 19H – VERNISSAGE of the Exhibition of the multidisciplinary italian artist Gabriele Nuzzarello. Good wine and and snacks vintage. 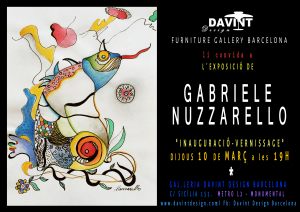 The exhibition will remain until 10.04.16, so we have one complete month to enjoy his last draws and paintings in our furniture gallery Davint Design Barcelona, on C/Sicília 151. You may arrive using the underground, the lila line L2, getting off in the stop called “Monumental”. Walking less than 5 minuts you will find us, always happy about your visit! Tuesday & Thursday: 10-14h & 16-20,30h. If you want to know more about the large multidisciplinary and polistylistic work of Nuzzarello, we recommend you to visit his original website or facebook page; but being honest, they are not fair with the vivacity of his live paintings. We look for you to verify it!